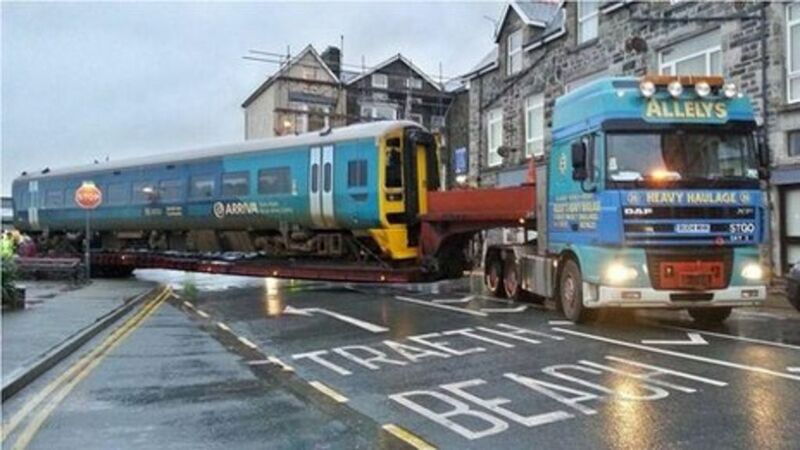 The Cambrian Coast railway line may not fully reopen for another four months as repairs after tidal storms continue. Barmouth Viaduct in 2002, looking impossibly long. A westbound dmu crossing Barmouth Viaduct in 1981. Looking south across Barmouth Bridge from the A496 road on the southern outskirts of Barmouth in December 2011.